There are partnerships, that one knows from the very beginning, are the ideal fit. Bob and I believe this to be true with BlackRapid . I mean, really, what could be better? Camera straps– Bob’s favorite– AND a substantial benefit for women and men living with breast cancer? It certainly works for me! Another lovely piece of this partnership is the folks are BlackRapid are awesome to work with. How many people do you know that show their passion for something by wearing tutus – oh well, besides my husband? Thanks for making our imagery a part of this campaign! The really cool aspect of this, and it’s what we look for in a partnership, is that it was so straight forward. Ten dollars from every strap sold is donated directly to The Carey Foundation. We’ve also had the pleasure to work directly with Jared and Dan, they spent an entire day in our home listening to Bob and I chat about this project, and at days end we had two lovely new friends. Back to the straps, did I mention that they’re pink? You may think this means that the KICK Pink straps are only for women but come on–my husband wears a pink tutu–you men need not shy away from this! The fun doesn’t end on the rooftop. 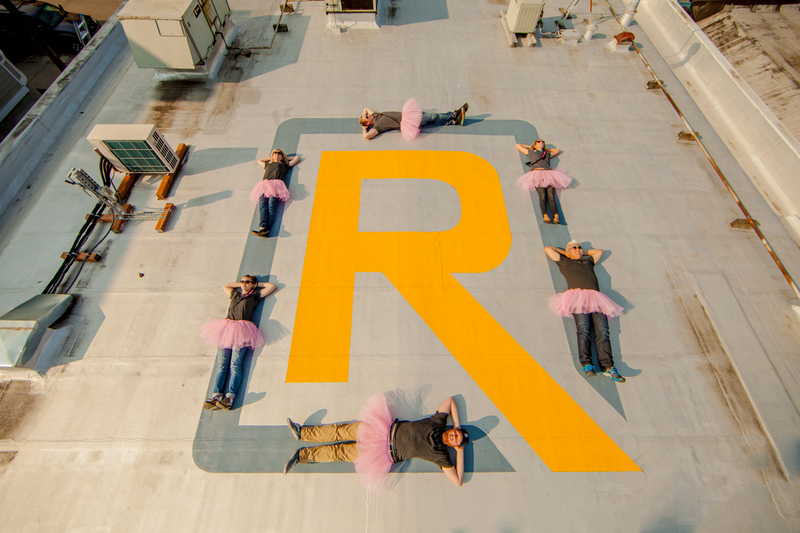 BlackRapid sent the KICK pink straps and tutus out to tour the world in a photo relay! Visit their website to watch the straps and tutu’s as they make their way around the globe. Thank you, BlackRapid for your tremendous support of The Tutu Project and The Carey Foundation and for the FUN you’ve added to this campaign! The tutu images created by other professional photographers for the KICKPink Blackrapid camera strap and #KICKCancer BlackRapid campaign have been released with permission from RC Photography, trademark owners of The Tutu Project (TM). They are being used to raise awareness for breast cancer, The Tutu Project and the Carey Foundation. The images created are not to be used for profit (personal or charity) by the participating photographers. If you have any questions about The Tutu Project trademark, please visit https://thetutuproject.com/the-tutu-project-trademark/.